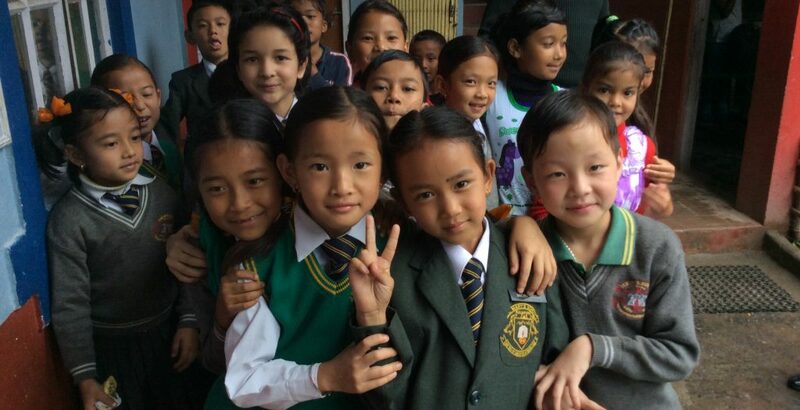 Ruth, one of our trustees, tells us about her final days in Kalimpong. If you’ve missed it, catch up on Part 1, Part 2 and Part 3 of her blog here! I’m not allowed to leave before having a delicious dinner with Jiwan and his family. The hospitality I’ve been spoiled with for the past fortnight continues and the next day Jiwan insists on accompanying me to the airport. As I take my last ride down the mountain and follow the river again, I contemplate how my outlook and understanding of my own school and profession have deepened and altered over these two weeks and how I can’t wait to return. It’s been an inspirational experience and one I shall value as a highlight of my professional life. Then the clamouring of horns and the sweltering humidity intensify; we’re back in Bagdogra. Hasty farewells, parting gifts and Jiwan is gone, back up the mountain and I’m back to the city.